Can we experience God’s blessings through difficulty, tragedy, disease, or loss? It takes a different perspective, not a human one, to move past these feelings and advance forward with the point of view revealed to us in James 1:2-4 (2) Consider it pure joy, my brothers, when you are involved in various trials, (3) because you know that the testing of your faith produces endurance. (4) But you must let endurance have its full effect, so that you may be mature and complete, lacking nothing. Our human selves do not normally find “joy” in trials. We experience pain, sorrow, depression, loss of hope and even anger. Faith can be lost during these times. But faith can also be greatly strengthened. To gain through trial, we have to perceive our struggles in a different way. Maybe when things are hard, that is when God is showing us just how much He does love us. Struggles can mold and shape us closer to His image; bring us to our knees before Him to seek His counsel, wisdom and forgiveness; and take us to the realization that we cannot make it alone without Him. We must be transformed by Him— to be with Him. Trials can create this change in us. Our individual “thorn in the flesh” is hard to bear, but it may be the blessing given to bring about the change that is needed to help us grow as a Christian and remain faithful. Our experiences through trials may also be used to help others with the same problem. Our attitudes toward hardship may bring souls to Christ. All has been done/is done in love—and through joy in the hope given by Christ. Can we experience God’s blessings through trials? The answer is “yes” for those who remain faithful and persevere through the difficulties of life, through the “thorns” and the trials. The promise of eternity awaits us beyond this mortal clock. No more loss there. No more tragedy there. No more disease there. No more. In the presence of God, only blessings can abound. “Every generous act of giving and every perfect gift is from above and comes down from the Father who made the heavenly lights, in whom there is no inconsistency or shifting shadow” (James 1:17). Dear Lord, please help us see the blessings in trial. Help us use these trials to grow and mature in Christ. May we look for opportunities to bless others’ lives through our experiences with hardships. Help us persevere to the day when it is all made clearer in Your presence. Amen. From “Da, Da” to “Daddy” to “Dad” to “Father,” we each progress through the stages of being the child of this man, our God-given parent. “Da, Da” may be our first spoken words to him. We bond with smiles and bottle feedings, love and basics. We need him for everything. “Daddy, please,” we plead as toddlers. We test him with our endless explorations and curiosities about life. “Why, Daddy?” “How, Daddy?” “Lift me up, Daddy.” Atop his shoulders, we see the world. “Dad” is the more adult name we choose when we enter pre-adolescence. Dad is on the sideline as we spend more time with friends. Yet, he can be fun to hang out with too. “Dad, you just don’t understand!” we utter in annoyance, walking away, the misunderstood teen child. We think often of our independence and escape from this sometimes boring man who lives in the past -but we still need the car keys. We come to the realization that dad doesn’t know much. “Dad, my next college tuition payment is due.” Speaking as the young adult child, Dad is the source of our wants and needs—college funds, car payments, cash, and maybe a little advice on the side. “Father,” we speak with endearment for our aged parent. 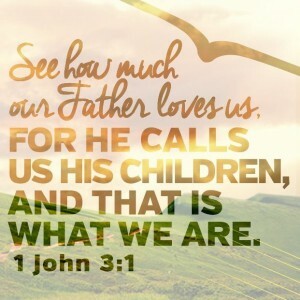 We, the maturing child, know father has wisdom that we wish we had more time to uncover. Mortality is increasingly visible in father’s body; immortality is viewed in his eyes. There is little time. . .
Have we not, also, progressed through these stages in our relationship as children of God, our Father? We begin with Him in the beginning. We are first fed with the milk of His Word. We feel His presence and His love always. As we strive with impatience to try and be patient with our own children, we are in awe of God’s long-suffering love and faithfulness during the many stages when we, His children, test Him, neglect Him, walk away from Him, put others and things before Him, use Him for our wants—and yet, He continually waits, constantly waits for us to grow up and walk with Him. In our “older child” stage of faith, when we do walk and talk with the Father in conversation and in prayer, we seek His advice in the Word. We grow through the relationship. 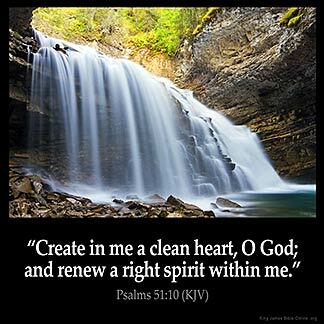 In our maturing stage of faith, we show reverence for the Father and recognize His great wisdom. We long to be with God, sensing the eternal in Him through the soul He implanted in us. We know there will be forever time with this Father. . . 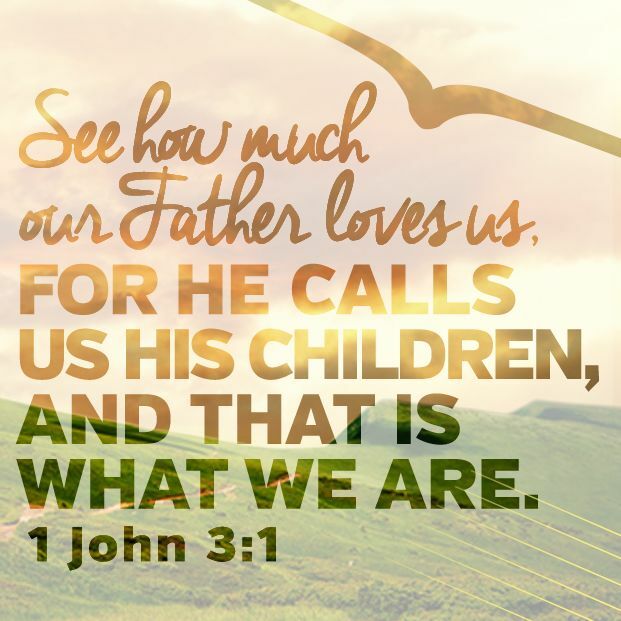 Even as we view our own offspring as “children,” regardless of their physical age, our heavenly Father, also, beholds us as His children and has prepared a home for us to be with Him always. Father’s Day is every day to honor our heavenly Father and remember His sacrifice of His only Son, given so we can be His adopted children. We have a Father who will never fail us, who will never leave us, who will always love us. Worthy of reverence, deserving of honor, we give you thanks, ABBA Father. WOULD I BE THE ONE WHO WENT BACK? (14) When he saw them, he said, “Go, show yourselves to the priests.” And as they went, they were cleansed. (15) One of them, when he saw he was healed, came back, praising God in a loud voice. (16) He threw himself at Jesus’ feet and thanked him—and he was a Samaritan. Ten lepers, forsaken and outcast by their society, seek Jesus, with the belief that He can cure them. Acknowledging Him as “Jesus, Master,” they loudly call out, pleading that He “have pity” on them. Jesus sees their plight– but does not immediately heal them. Instead, He requires an action to demonstrate faith and obedience, instructing them to go and see the priests. Each one obeys and is healed while making this journey of faith to Jerusalem. The healing is affirmed by the priests who tell each man that he can rejoin his society once again, no longer the leper to be feared. The story is engaging. I am involved, eager to read the rest of the story in anticipation of the coming reunions and celebrations. Continuing in the Word, I envision the scenes playing out: I hear the joyous voices of the ten lepers, now healed. I see the nine running to physically embrace family and friends, an act forbidden for so long. But, then, I notice the one lingering behind, separate from the nine. Suddenly, he takes a different path, turning back to find Jesus. I view the Master through the man’s eyes and hear him “praising God in a loud voice.” I watch as this man drops to the ground, prostrate at the feet of the One who healed him. In a humble attitude of respect, thankfulness, and acknowledgment of this man Jesus–more than man, hailed as Master, worthy of honor—the healed leper gives thanks and praise. Let us always remember to proclaim praise and thanksgiving with humility, respect, and honor to our Lord and Master—not just at the end of our individual life stories, but from the very beginning and on every page. Within this one verse, Christians can find hope, courage, support, and the will to persevere through “all things” that we encounter in this life. It is a simply stated verse with profound implications and possibilities for each one of us. What have we done with this verse in our lives? What does it really mean for you and me? “I” The first word makes the entire verse very directed to me with the use of the personal pronoun “I.” It means that “I” am the one speaking these words—aloud, in writing, while reading, in thought, in prayer. “CAN” It is possible for me, but the word “can” also reveals that it is up to me. “I can” if I want to; “I can” if I have courage to try; “I can” if I have faith to believe; “I can” when I seek God’s help. The use of this word shows if I don’t have the “I can” belief, it is unlikely I will proceed to action. “DO” This is the follow through to “I CAN.” It is up to me to act on the belief that “I can” in order to “do all things.” The little engine that kept saying “I think I can, I think I can” would not have made it to the top and over the mountain – if it hadn’t gone beyond merely thinking the words. The little engine needed to act, and so must I. “Things” We tend to think of “things” in respect to physical objects. Yet, a “thing” has an expansive range of coverage. It has no specific name—so it can be just about anything. God has no limitations. Only I can limit what He wants to do for me —and what He wants me to do for Him. 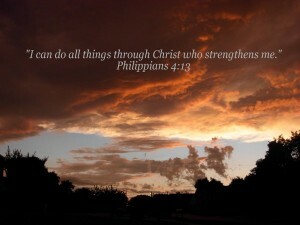 “Strengthens” Christ holds me up when I feel I can not and helps me see that “I can” with- and through- Him. “Me” Full circle in the verse- from “I” in the beginning and back to “me” in the ending–I see that I truly need Him. Christ is my personal Cheerleader, my personal Coach, my personal Example, my personal Friend, my personal Savior, my personal Redeemer. Although the verse begins with “I” and ends with “me,” it is not about me. It is always about Him. Alone, I am a weak vessel. Through Him, I can become stronger and “do all things” that He wants me to do and get through—for Him.